Okay, most of us know that sunscreen isn’t just about SPF but face it, how many of us buy sunscreen based on a comfortable SPF number? Well, I do although I do look out for the active ingredients and my favorite is one with 18 to 20% zinc oxide only as that means the product offers broad spectrum protection against both UVA and UVB rays. If you like chemical sunscreens, then Mexoryl or Tinosorb are what you should be looking out for in the product as they are considered as photostable sun filters. SPF stands for Sun Protection Factor and is a measure of a sunscreenâ€™s ability to prevent UVB from damaging the skin. If your skin burns afterÂ 20 minutes under the sun,Â using an SPF 15 sunblock will protect your skin forÂ 15 times longer, hence providing protection of up toÂ 300 minutes orÂ five hours when you apply enough.Â Another way to look at it is in terms of percentages.Â When applied properly,Â an SPF 15 filters out 93 percent of UVB, SPF 30 filters 97 percent and SPF 50 filters 98 percent. According toÂ The Skin Cancer Foundation, most sunscreens with an SPF of 15 or higher do an excellent job of protecting against UVB. However, many people are under the impression that the higher the SPF number, the better protected their skin will be. But as you can see, an SPF of 50 only provides 1% more protection than an SPF 30 and I’ve learnt that any numbers above SPF 50 makes little sense. So SPF 65, SPF 75 and SPF 100 that I’ve come across are just insane as these numbers just give people a false sense of security. What matters is that you are applying enough sunscreen – at least a quarter teaspoon for the face – and that you are re-applying often enough under continuous sun exposure. So although technically, a sunscreen with SPF 15 would do a good job but it is better to choose a product with higher SPF as chances are, most people do not apply enough and this leaves them with an SPF rating far lower than what is on the bottle. I would think one with SPF 50 should be good enough for most people. So which SPF number gives you peace of mind? For me, it’s SPF 30 for daily wear and even a moisturizer with SPF 30 eases my mind somewhat. If I do head outdoors, than a sunscreen with SPF 50 would make me feel a lot more protected. How to determine your personal SPF number? Not safe to buy sunscreens based on SPF Is higher SPF in sunblocks better? Is using a moisturizer with SPF good enough? Anything above 30 used to give me peace of mind. But now it seems a bit silly. Actually not too bad if it’s up to SPF 50 cos we usually don’t apply enough. Probably above 50 is unnecessary. SPF10-15 is good enough for me as my skin is allergic to higher SPF for you need to add chemicals onto the product in order to achieve a higher SPF. Oh, you’re allergic. So in this case can you use chemical sunscreen at all or you can only use those natural ones with zinc oxide and or titanium dioxide? I am currently using Evolu (an organic brand from New Zealand) day moisturiser with SPF15. Check out their website which shows the ingredient list. I am happy with anything between SPF 25-30. Any higher I will find it too heavy for my skin. 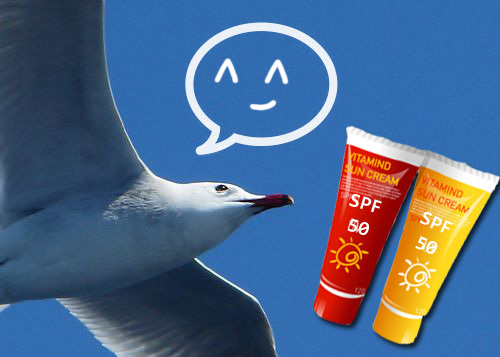 I see…even SPF25 doesn’t give me peace of mind for casual sun protection although technically, it protects. Yup yup, now I’m using MVO SPF 30 so I am happy with it. Previously I wasn’t able to find a formulation above SPF 25 yet feels light on my skin. Although technically SPF 30 should be enough, I realised that my pigmentation do not slow down when I apply SPF30 sunscreen from Australian Cancer Council. Or even SPF40 from Vichy Anti-pollution. I realised that the LRP SPF 50 UVidea Anti-pigmentation one works best. But I am not sure if it is due to the SPF or it is due to its anti-pigmentation properties. Could be some anti-pigmentation ingredients that work for you. For your remaining product with SPF 30, why don’t use it on your neck and hands? That’s what I do with sunscreen I don’t want to use anymore on my face. I don’t have pigmentation problems (touch wood… or maybe not just *yet*) so SPF 30 for daily wear (Devita solar moisturisier using I think 19 – 20% ZO) is good enough. For sports, I’ll head for water-resistant chemical ss for the face (SPF 50) and around SPF 30+ physical SS or chemical ones for the body, depending on what I have open. I’m waiting for a spree to get the Devita one to try after reading so much raves…did you get it from a spree too? Nope, I got it off http://www.vitacost.com (US$6.99 shipping). Do check it out. I have 10 bottles coming my way. If you’d like to purchase 1 off me, feel free to drop me a note 🙂 Should get here in another 2 weeks or so for the cheapest airmail. Actually I had ordered 16. 10 from VC and 6 from Ebay. Splitting 5 with a friend and a few forumers 🙂 It’s the only moisturiser with spf that my dad will use as a sunblock since he hates the feel of everything else, so worth stocking up, imo. how about the brands? is there a specific brand recommendation? i use a foundation/moisturizer/sunscreen for daily application and coppertone for extended sun exposure. Depends on what type of sunscreens you are looking at – mineral or chemical. Mineral sunscreens are tricky as they contain titanium dioxide and or zinc oxide and most can leave a whitecast or be very greasy. I can tell you the one I use or you can search through my Sunscreen category. However, it may not work for everyone. For chemical sunscreens, you have lots of selections like from La Roche Posay, Vichy and Avene. Same here…I don’t reapply. I rely on my protection oil beneath my sunscreen and if the weather is really really hot, then I pop one Heliocare. Otherwise Heliocare only for outdoor use. I think with mineral sunscreen containing zinc oxide and or titanium dioxide, it’s not necessary to reapply as they form a protective shield unless they are wiped away. However with chemical sunscreens, I believe it’s necessary to reapply with or without makeup especially if you’re exposed to the sun continually. Is there any recommended brands for sunblock on sensitive skin? Sensitive skin probably do better with mineral sunscreens. The Kimberly Sayer Moisturizers are quite a good option as they provide sun protection with the titanium dioxide and zinc oxide. Each comes with SPF 25. I personally like SPF 30 as it is able to protect my skin from sun exposure. I used it from a longer time and am satisfied with its results. So I don’t want to change it. we don’t go under de sun tat often. Hmm.. I think spf 30 is good enough. Do you know any good sunscreen tat is suitable for acne prone,sensitive & oily skin? Any European sunscreen(with a spf>20) leaves a white cast on me(even if I read reviews that say they don’t, they always do) unless they are tinted or come in a light beige colour. But unfortunately, those never worked for me :(. babybunii : Yes, that’s what the dermatologists are saying. In some cases, higher SPF may contain ingredients that clog pores. Well, the Kimberly Sayer Moisturizer I recently reviewed is quite good for my acne prone and combination skin. It was created for oily skin. Purely Moisture AHA cream with spf 30. I found this in a comment from a reader on your blog, Sesame! I developed adult acne since I gave birth to my son – and he’s 25 years old! This helps control the bumps during the day, and protects from the sun, while I use a topical antibacterial and Retin-A at night. Oh that’s interesting! I don’t remember that comment. But it comes with AHA? But good it’s working for you. Spf that gives me peace of mind…hmmm…that depends on the weather and what I am doing. Spf 20 for rainy weather and when I am mostly indoors, Ppd>15 for when I spend a lot of time outdoors. Spf products that I don’t have any idea about the UVA index, are from brands that I don’t know, contain vitamin a derivatives, BHAs, AHAs, essential oils or plant extracts that are known to make skin more sensitive to the sun give no peace of mind! Ah no, you’re not paranoid. I use umbrella and sometimes take pills on top of topical application. I think it’s good to want to protect our skin. same here..normal days- spf 15 indoors; outdoors- spf 30.beach or long sun exposure- spf 50 🙂 great post! btw,can you share some products with good spf? thanks! My favorite products with SPF comes with zinc oxide and contain natural ingredients. That’s the Marie Veronique Organics Moisturizing Facescreen. Other than that, I do use some chemical sunscreens like those from La Roche Posay when I head out to the beach. Kiehl’s also has some good products for the face if you’re not into natural ingredients. I read all the comments with much interest. It’s good to know that people really care about this subject and want solid information. So here’s how I look at it. 1) don’t forget to look for broad spectrum protection because UVA rays cause skin cancer and premature aging. Zinc oxide is still the best UVA protection. 2) SPF refers to protection from burning UVB rays only. An SPF 15 filters out about 93.3% of UVB rays, and an SPF 30 filters out about 97.7%. So doubling concentration of the active ingredient increases protection only incrementally. A very HIGH SPF number will protect you from burning to the point where you might be getting UVA damage (which shows up later) without knowing it. For myself, I apply a zinc oxide SPF 20 every day without fail, and put an SPF 30 over top of it if I am out hiking. If I turn red, It’s time for me to get out of the sun. I think of burning as nature’s alarm system, and I don’t like to dismantle it entirely, because I am much more concerned about UVA exposure than UVB. Oh, I have no idea that a very high SPF will protect us from burning and yet get UVA damage. That’s interesting…I guess it’s the false security created? Actually for Asians, we don’t have the ‘alert’ system as our skin gets tan but not burn so easily so chances are, this would even be more damaging for our skin. If you’re in Germany, my impression is that you can get access to various European sunscreens with broad spectrum protection, which works like the PA+++. La Roche Posay has some good ones that uses Mexoryl and Avene has those with Tinosorb. I’m comfortable with SPF 30. What I learned recently is in Australia, they have a regulation that doesn’t allow sunscreen products to be marked more than SPF 30. This is to prevent people from having a false sense of security that more SPF will protect from the sun. This was very fair since the sun is very harsh in Australia. You will see tons of products marked SPF 30++ (indicates ingredients are stronger than 30). I am now using Australian cancer council SPF 30 (like pf1123). I should try to observe if my pigmentation is not going down like her. Yes, I was told about Australia’s regulation is such and that’s good as they urge pple to reapply more frequently when out enjoying time under the hot sun. I saw the Cancel Council sunscreens in BKK…didn’t check their ingredients though. Believe they’re chemical sunscreens. Personally, I feel that SPF 30 should be good enough unless you are out in the sun for hours. But I don’t reapply my sunscreen as it will ruin my make-up. If I am in the sun for long hours, I will wear my hat/cap and sunglasses to protect myself from the sun. What’s important is also the percentage of the active ingredient. I swear by a sunscreen with SPF30+ (Derma-Rx products from DRX Clinic) that consists of 13% titantium dioxide despite appealing advertisements of sunscreen from other brands. I’ve come across that brand you mentioned. Is titanium dioxide the only thing they use? You might like to know that titanium dioxide only provides partial UVA protection. Here’s a table in one of my posts with the FDA Monograph Sunscreen Ingredients. 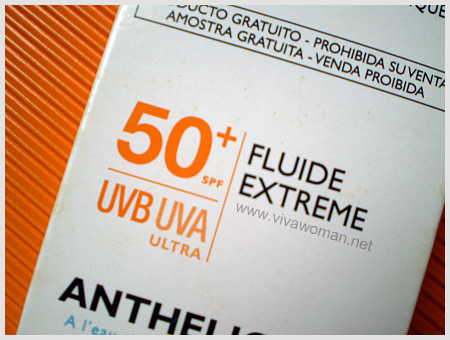 It tells you how much protection for UVA and UVB you get from the active ingredients. Thanks for the info. It does consist of other ingredients but Titanium Dioxide is the active ingredient present that is essential in a sunscreen. From the info given, it seems that sunscreen with zinc oxide as the active ingredient is the best. Full protection against both UVA & UVB. Yes, that’s why my fave is zinc oxide. But you need at least 16% of zinc oxide for it to work (if it’s the only sun protection ingredient used) and anything above 20% can potentially be drying for skin too. SPF 30 is good enough for me in Singapore’s sun. Anything higher is unnecessary and a waste of money. You raised a good point – the higher the SPF, the costlier the product! I’ve been using SPF 50 since the days when I didn’t know much about UVA/UVB, SPF, and ingredients in a sunscreen – at that time just choose the highest thinking it’s the best! But now I’m more knowledgeable about sunscreens (thanks partly to your blog, Sesame!) so trying to choose wisely. I’ve been thinking about the “topping up” issue for a while now. There are brands that have powdered mineral sunscreen which comes with a brush attached (e.g. Colorscience and Eminence, the latter is organic I think) so am thinking maybe this could serve the topping up function? – would be easier to just swish or dab some powder quickly before one steps out into the sun in the middle of the day? (as opposed to re-applying liquid sunscreen as this could ruin makeup and not ideal to apply over my oily face without washing my face first). Think Jane Iredale also has something like this but with a puff instead of a brush. Any one has experiences with such powdered brush sunscreens? I think many of the mineral foundation comes with zinc oxide and titanium dioxide and so they can serve this function. However, I find the coverage minimum because you have to put on a lot in order to get protected. I think it’s not really possible to re-apply sunscreen with makeup on, so the best is to avoid the sun, or use an umbrella or hat. The other thing is to rely on internal sun protection such as pills. Yeah, I rely a lot on my umbrella. I get spf 50 or higher. I like to stay my winter shade. or atleast try to. I guess slightly higher than SPF 50 is fine. SPF 50 should protect you quite well if the active ingredients are photostable. SPF 30 is good for my everyday use. On top of that my favourite..my oil free sunblock is my all rounded brolly which cost me $50 with double layers protection. Wow $50 for your brolly? It might be something…wait, I think I’ve seen some of them around and was told they’re more protective too. My mother (who’s an avid reader of your blog) keeps on telling me about sunblock. I think she uses an SPF 50, but I was always under the impression that anything above SPF 25 was okay in Singapore… I may need to revise that number. I was wondering about something. I walk around Singapore a lot (I’m still sitting for driving lessons), and although my legs are usually covered by jeans, my arms are always exposed to the sun, but my mother only ever talks to me about applying sunblock to my face and neck. Would you wear sunblock everywhere on your body that’s not covered, or just stick to your face? Actually, do you even think clothes are enough to protect from the sun’s rays (IE: should we be wearing sunblock under our clothes too)? SPF25 is okay for casual sun exposure…the thing is we usually do not apply sufficient to get that level of SPF on our sunscreens and hence, something higher would be more protective. You raised a good question. Unless I’m out at the beach or something, I only apply sunscreen on my face, neck and hands. It’s impossible to apply all over every day. But I take Heliocare when the day is really really hot so that provides some protection from internal. I also use an umbrella to shield from the hot sun. I would love to know whether you apply any sunscreen around the eye area. It seems to me that most sunscreens are for face only. But for the delicate eye areas, it seems that there are very few options on the market. I don’t apply liberally but usually pat the left over around my eye area. How high are the percentages when it comes to PPD? Are the proportions the same? I use spf15 moisterizer. I should use my spf30 but it burns if i get it near my eyes. I see…I did read some comments in the past that sunscreen stings the eyes for some users. Must be the active ingredients. U mentioned heliocare. Can we get it in sg? Or do u buy it online? Yes, you can find the brand at Guardian Pharmacy. So hard to find a good face sunscreen and I keep trying too many. I am using Aveeno SPF 30 for years but I want to change because sometimes I feel my skin in need of more moisturizer . I do not find anything that can go to my combination skin (acne sometimes). Any recommendations Sesame? I’m currently trying out Badger’s new aloe vera sunscreen lotion with SPF30. It seems quite good. I’ll review it in time. Hi, I just read your forum, I live in UK, sometimes sunny but normally cloudy and windy, Im normally use aloevera day cream with spf 15 from bodyshop, on top I put BB cream with spf 25. I use SPF 15 daily, and yes I do apply enough. This is just for sitting around in the house or a quick jaunt or two in the car to run errands. If I know I’m going to spend any longer than 20 minutes in the sun I use a liquid SPF 30 with a powdered SPF 30 sunscreen on top of it. Even with a thick layer of SPF 30, if standing in direct sunlight for longer than 30 minutes I burn! Fair Irish skin. I’ve learned to keep my sunglasses on always in the sun and spend every moment that I possibly can in the shade. Also, I’m allergic to chemical sunscreens, so I always use the mineral variety with titanium dioxide and zinc oxide. I agree that SPF15 is probably enough for indoors and some casual sun exposure. But I’ll do with SPF30 mostly. I am using Clarins Bright Plus HP which has a broad spectrum SPF 20 Sunscreen in it. I’ve got oily skin so this is perfect as I’m left with no shine and an even matte completion. It’s also great for pigmentation.